Performance horses, Hunter Jumpers, Reiners, Dressage, Show Horses, Police Horses, Any Horses with respiratory, allergy or lameness issues. Airlite is a first line defense against any respiratory or allergy issues such as Heaves, RAO, IAD, and EIPH. It is also the healthiest bedding for equine athletes who need clean lungs for peak performance. Airlite is the healthiest choice for foaling or rehab situations. Owners who have allergies or just do not like dust find Airlite keeps their barns and trailers looking new. Performance Horse operations, Foaling, University Vet Schools, Zoos, Police Department Mounted Units, Horse Show Venues, Barns where dust is an issue, Hauling, Horse Show stalling, Quarantine barns, Boarding facilities, Clinics and Labs, Equine Transports. For questions, more information or to place an order, email or call us at 855-884-9420. Airlite bedding works better than shavings in terms of absorption & dust. I plan to keep using Airlite bedding in Auburn University cattle facility. Loveeee this product. We have AKC registered Appleridge German Shepherd Dogs. This product beats everything we have tried over the 40 years, we have been breeding. Our dogs enjoy air conditioned living arrangements, so dust was an issue with anything wood. We cannot say enough great things about our decision to talk with Joe and Eric about their wonderful paper product. Life saver in so many ways. We tell all of our friends, Veterinarian friends, and other breeders about this fantastic product. Our dogs love it too. When fresh paper is put down, they romp and play like kids. Thank you so much for making our lives better and our Fur kids lives happier, cleaner and dust free. "I have a had great experience with the Airlite bedding. I routinely use the bedding for horses with asthma and we have noticed a significant improvement in the horses' clinical signs. I have found that the Airlite bedding provides a clean, low-dust alternative for our horses with respiratory issues." From the first day Airlite was placed in my stalls, my mare's coughing CEASED and 15 days later it's still quiet in the Gaber barn. For me and my mare, this is nothing short of a miracle. 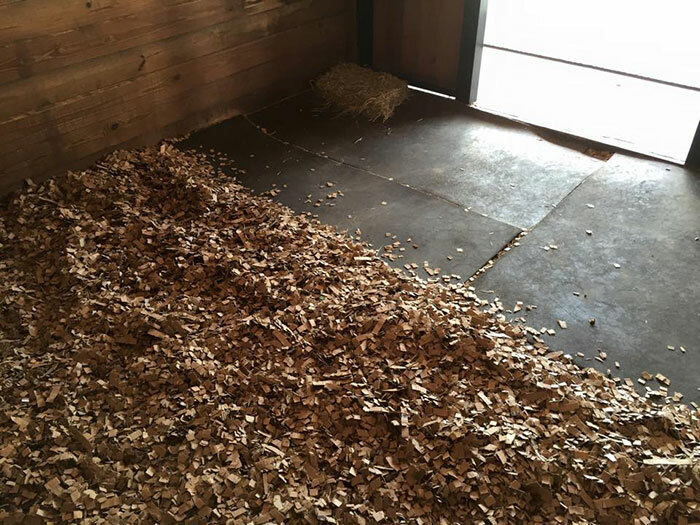 Thanks to these shavings, she is not progressing into the heaves pattern and now has the opportunity to maintain the winter blessing of good health. She is feisty again and back in her "boss mare" role. Her weight is good. And even though both varieties of heaves are incurable and allergy induced, I now have a fighting chance of controlling the allergens which were negatively affecting her health - the allergens that were obviously coming from the pine shavings. The best decision I've made for my horses in a very long time is converting to AirLite shavings. My mare's immediate improvement underscores the importance of air quality - unfortunately, something we rarely think about. I hope my story reassures the equestrian community that you CAN make a difference with an illness long thought to be an ultimately death sentence. I've absolutely learned to make BEDDING my number one priority in my decision making for the well being of my horses, and in my opinion, AirLite is the best, most dust free, lowest allergen choice available. 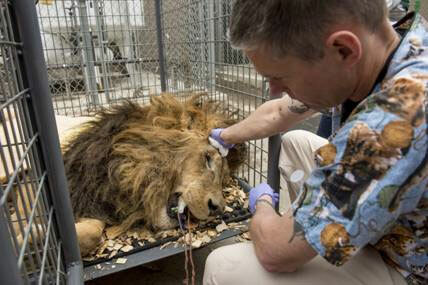 Airlite Bedding in use at Colorado State University College of Veterinary Medicine and Biomedical Sciences.